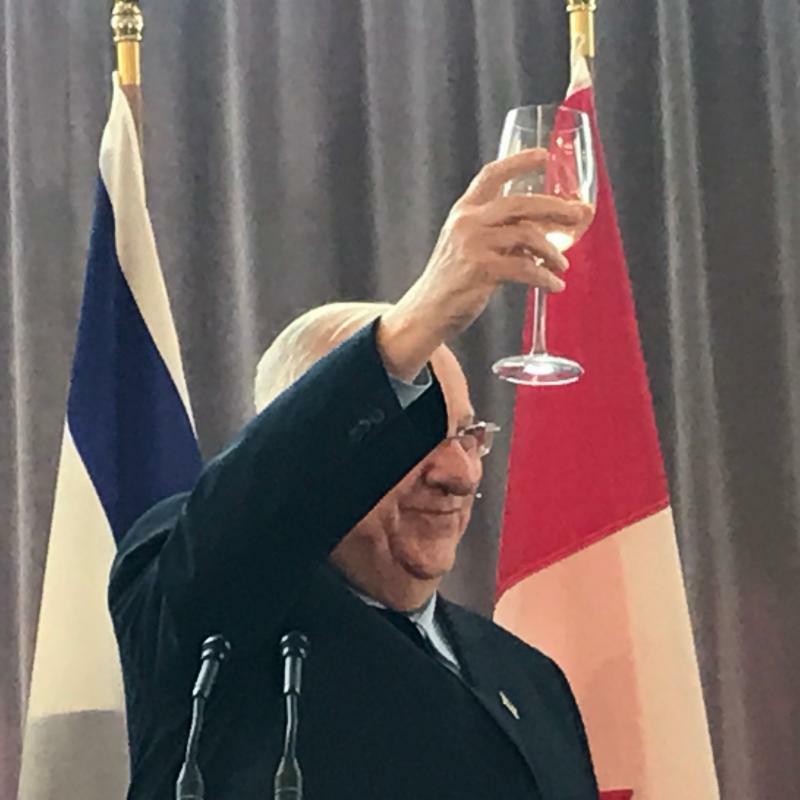 Ottawa (April 1, 2019) - Prime Minister Justin Trudeau welcomed Israel's President Reuven Rivlin at an exclusive luncheon today in Ottawa, during which the prime minister discussed the "special bond" between Canada and Israel as both countries "work together to combat hatred and antisemitism" and fight "against movements like BDS and Israeli Apartheid Week, which hold Israel to different standards." President Rivlin thanked Prime Minister Trudeau for Canada's long commitment to stability in the Middle East and for standing up for Israel at the United Nations. "The UN Human Rights Council has been taken over by human rights violators," said Rivlin. "We must not surrender...we must change the world for the better...we can build a new global alliance based on moral leadership." Friends of Simon Wiesenthal Center President and CEO Avi Benlolo was in attendance at the luncheon and is scheduled to attend a state dinner at Rideau Hall, hosted by Governor General Julie Payette, later this evening. "There is no greater symbolic act that demonstrates friendship among nations than a warm welcome at the highest levels. Canada-Israel relations continue to strengthen through trade, academic and cultural exchanges, security relations and diplomacy. Moreover, Canada and Israel share the same values of rights, freedom and democracy. We are proud in standing with Canada and Israel today to celebrate this wonderful friendship," Benlolo said.